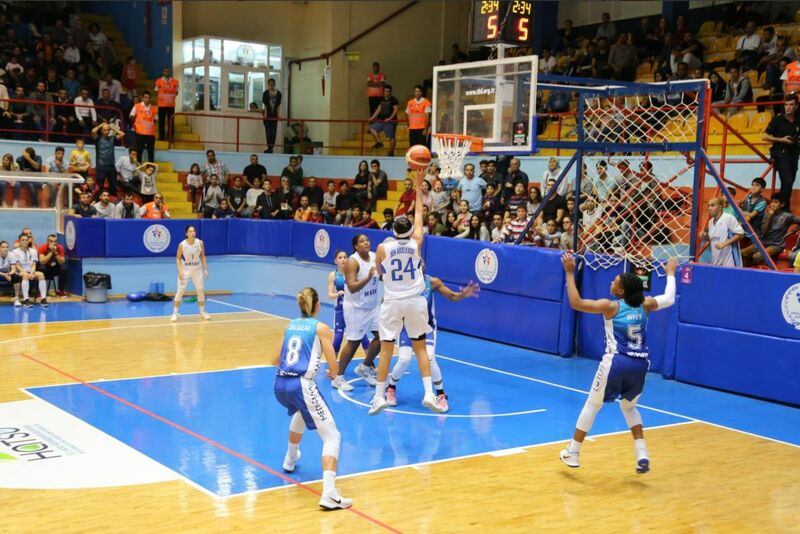 Hind Ben Abdelkader has been the Player of the Week in Turkish League after scoring 34 points [8/11 2P | 5/9 3P | 3/3 1P] and grabbing 6 rebounds in Hatay´s win at Istanbul Universiti (64-100). 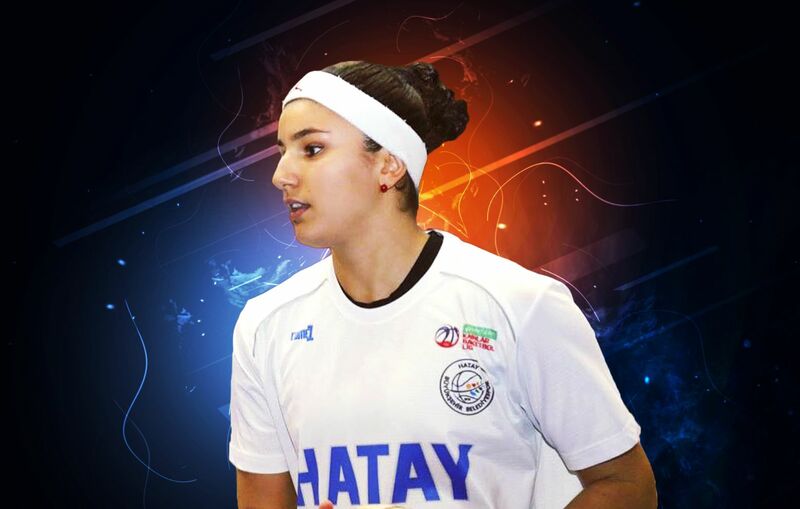 Hind Ben Abdelkader is being an impact player in the best league in Europe and with Hatay she is Turkish League co-leader with 10 wins and just 1 loss, tied with powerhouses Yakin Dogu and Fenerbahce. In Turkish League, Hind Ben Abdelkader is averaging impressive 17.6 points, 2.5 rebounds and 2.1 assists in just 25 minutes per game with amazing 64% from the field, 43% in three pointers and 89% in free throws. With Hatay, Hind is also playing the Eurocup and she is currently unbeaten in the competition and leading her team with 17 points, 2.7 rebounds and 2.3 assists per game, again with exceptional 54% from the field, 46% in three pointers and 89% from the free throw line. Hind Ben Abdelkader stood out at a very young age and already in the 2010 summer she played the U17 World Championship (reaching the 4th position despite being 2 years younger) and the U16 European Championship, in which she averaged 9.1 points and 3.7 rebounds per game with 69% from the field. Hind Ben Abdelkader won the Belgian League with Waregem in the 2010/11 season and she averaged 4.8 points in 17 minutes pergame. In the 2011 summer, Hind Ben Abdelkader was very impressive in the U16 European Championship and she won the Silver Medal and was the Tournament MVP after averaging 18.9 points, 4.2 rebounds and 3.3 assists per game. Hind played for Dexia Namur in the 2011/12 season and she averaged 9.7 points in 24 minutes per game in Belgian League (being Regular Season Champion) and 6.9 points per game in the Eurocup. In the 2012 summer, Hind Ben Abdelkader was the best scorer in the U17 World Championship with 19.4 points, 6 rebounds and 2.3 assists per game, having her best performances against Italy (29 points), Czech (27 points), Slovenia (22 points) and Poland (20 points). Hind also played the U18 European Championship in the same summer and she was the second best scorer with 18.6 points, 3.7 rebounds and 3.2 assists per game and had 29 points against Italy, 27 points against Czech, 22 points against Slovenia and 20 points against Poland. Hind Ben Abdelkader continued in Belgium during the 2012/13 season and with Sint Katelijne Waver she was the best scorer in the Belgian League with 22 points and 4.9 rebounds per game with excellent 49% from the field and 37% in 3 pointers. Hind excelled against Waregem (49 points +55 efficiency), Point Chaud (38 points), Blue Cats (31 points), Kangoeroes Boom (30 points). Hind also played the Eurocup and she averaged 13.8 points and 4 rebounds per game, having good games against Dynamo Novosibirsk (18 points 8 rebounds and 16 points) and against Wasserburg (20 points). Hind Ben Abdelkader played for California during the 2013/14 season and she had 5 points in 19 minutes per game in a team that had reached the Final Four the previous season. Hind did well against CSU Bakersfield (18 points), Wake Forest and Georgetown (10 points) and UConn (9 points). In February 2014, Hind Ben Abdelkader decided to return to Europe and she aveaged 14 points, 3.2 rebounds and 1.7 assists per game in Belgian League, playing for Sint Katelijne Waver. In the 2014 summer, Hind Ben Abdelkader won the Bronze Medal with the Belgian Team in the 3x3 World Championship played in Moscow and won also the Silver Medal in the Skills Challenge. Hind Ben Abdelkader signed with Cadí La Seu in the 2014/15 season and she averaged 10.9 points in 25 minutes per game, reaching the Spanish Liga Femenina 4th position and taking Perfumerías Avenida until the 3rd game (2-1) in the Semifinals. Hind had good games against Rivas (15 points +17 efficiency) and against Perfumerías Avenida (15 points 6 rebounds +17 efficiency and 16 points in 18 minutes). In the 2015 summer, Hind Ben Abdelkader was the U20 European Championship Best Scorer with 22 points per game. In the 2015/16 season, Hind Ben Abdelkader signed in France with newly promoted Cavigal Nice and she averaged 11. points, 3.3 rebounds and 3 assists in 29 minutes per game, becoming Challenge round Champion and taking her team to the 5th position in French top division. Hind was the best european point guard in the League and she stood out against Charleville (22 points 7 rebounds +29 efficiency), Lyon (21 points 6 assists), Mondeville (20 points), Nantes (20 points) and Landes (17 points 6 rebounds 5 assists +23 efficiency). Hind Ben Abdelkader signed with Wisla Krakow in the 2016/17 season and she averaged 10.3 points, 2.8 rebounds and 3.5 assists in her Euroleague debut, shining against USK Praha (23 points) and Schio (17 points). Hind also took her team to the Polish League final after averaging 12.9 points, 3.2 rebounds, 3.3 assists and +14.5 efficiency in 27 minutes per game and even increased her performance in the Finals with 14.6 points, 4.2 rebounds and +19.2 efficiency per game. With Wisla Krakow, Hind Ben Abdelkader won the Polish Cup and was the MVP with 24 points and +31 efficiency in the Final against Sleza Wroclaw. In the 2017/18 season, Hind Ben Abdelkader signed in Turkey with Hatay.